Welcome to the San Fernando Valley—a perfect collection of cultural experiences and entertainment. Vast opportunity beckons here, existing expertly between big-city access and small town charm. The Vista Pointe II Apartment community lies nestled in its own small corner of Studio City, an action-packed area of the San Fernando Valley. In anticipation of your arrival, we’ve designed a quick, printable welcome brochure full of useful information. Inside you’ll discover helpful phone numbers, practical shopping recommendations, and other details regarding the Vista Pointe II apartment community neighborhood. Below, you’ll also find a few quick links to places and events in the Studio City cultural scene. From art to restaurants to recreation and more, there’s truly something for everyone. If you need directions or a map to Vista Pointe II, we’ve got that ready for you as well. Just click the Map & Directions button, enter your starting address, and you’re good to go. What does your perfect neighborhood include? Chances are, you can find it in Studio City. The San Fernando Valley is a wonderful artistic community with art shows, theatres, music and dance, and regular live concerts in the park. Ventura Blvd. features an entire collection of one-of-a-kind boutiques and shops, and tasty restaurants within walking distance abound. If you’re up for more of a major shopping mall trip, the best food and fun is available there, too! Outdoors, a variety of parks offer picnic spots, play areas, and organized sports leagues. From Woodbridge Park to Fryman Canyon, you can exercise, relax, or enjoy a peaceful hike. 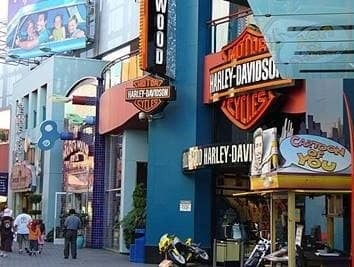 The Universal City Walk is nearby, too. And every Sunday, all year round, the Farmer’s Market is a beautiful outing for the entire family. Homemade soap, freshly picked produce, and kids’ face painting are just a few of the weekly offerings. The Universal City Orange Metro Line connects Studio City to Downtown Los Angeles, Universal City, and Warner City within just a few minutes. It also provides easy access to the 101 and 134 freeways. Whether you’re in Studio City for a little while or here to stay for the foreseeable future, the San Fernando Valley is a great place to call home. Stay in the neighborhood or explore beyond—and the Vista Pointe II Apartment community will be waiting for you when your day comes to an end.